“Food is a journey into the soul of the country.” – Susy Massetti. 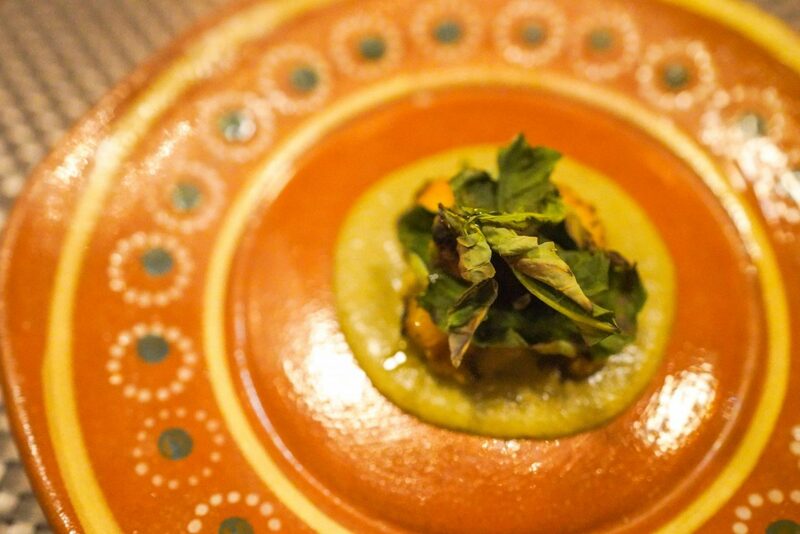 In March, I embarked on a crazy adventure to Mexico and was invited to participate in The Dining Experience Tulum. Not only does this jungle beach paradise have all the ingredients for a perfect sun vacation, its local food is sure to enlighten your tastebuds as well. Cancun? Pfttttt forget Cancun! Tulum is the new Cancun now. And if you’re looking for where to eat in Tulum, definitely check out this new culinary experience that’s not to be missed! 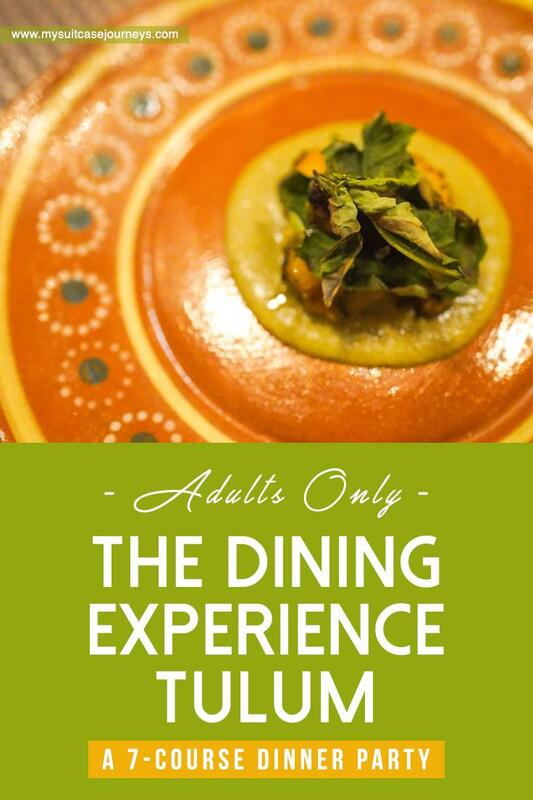 What is The Dining Experience Tulum? 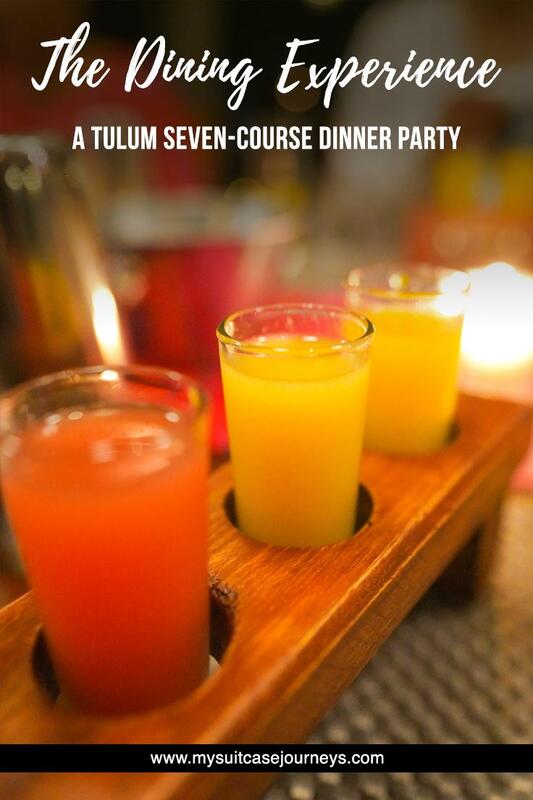 Unlike any other Tulum restaurants, The Dining Experience Tulum is a brand new 7-course dinner party that takes you on a gastronomic journey through unique hispanic flavors of the Yucatan. It is located at the Manglex Hotel and is meant for adults only (ahem, open bar, wink, wink). Talk about a great way to meet new friends in a foreign country! Lol first drink of the evening and I already can’t hold my hand still enough for a photo. I swear I wasn’t tipsy… yet! The evening begins with a cocktail welcome as guests mingle at the hotel’s outdoor terrace with gorgeous starry night sky views. Once everyone has arrived, you are then seated at a long dining table (with capacity up to 21 guests) – which is, again, outdoors so be sure to put on bug spray (or you won’t be the only one getting a delicious meal that night). 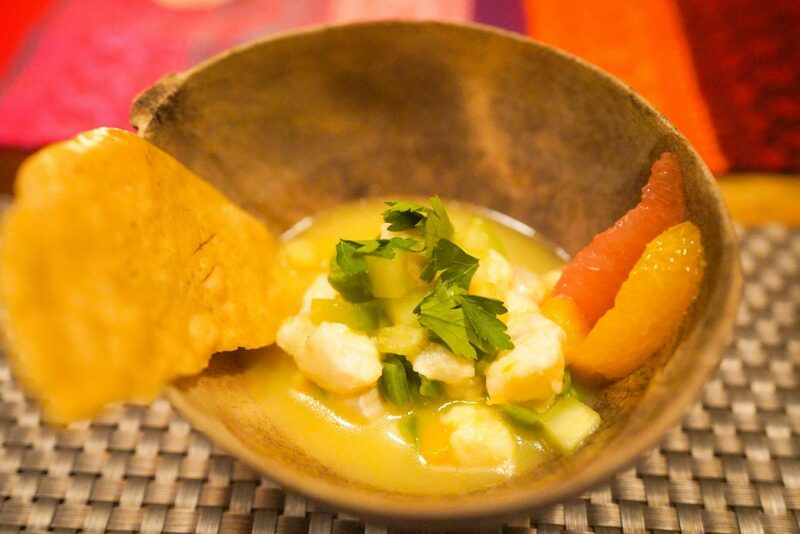 Although The Dining Experience Tulum is not a cooking class, it is pretty hands-on. Before any food is served, the host, Luis, teaches how to make three unique tropical cocktails using ingredients like Mexico’s classic Mezcal. As the evening progresses, you are served several different dishes to try. The whole experience supposedly takes around 3 hours, but we were there for 4 at least. Time flies when you’re having fun! 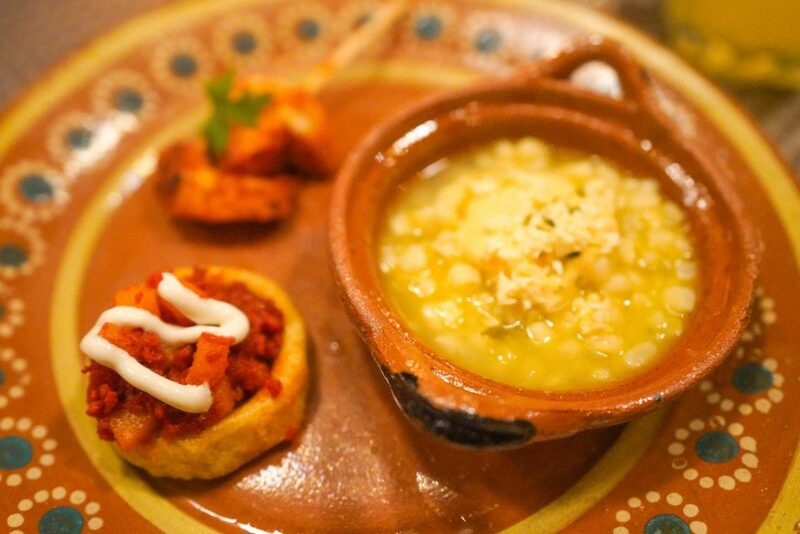 Starters: prawn & pineapple al pastor skewer, potato-chorizo sope, esquites with garlic aioli and queso fresco. 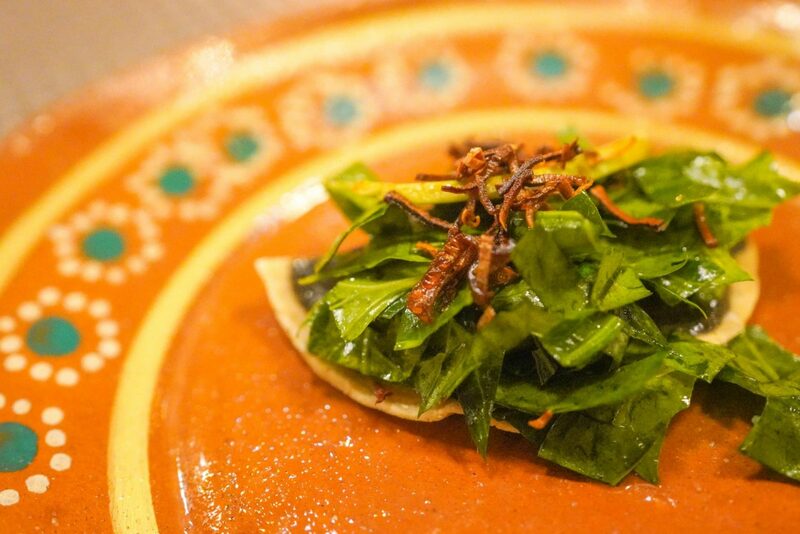 Chaya tostada with huitlacoche, smoked sea salt seasoned chaya salad, avocado, and crunchy leek. Calabaza criolla with tomatillo pipián. Handmade salsas: tomato, tomatillo, onion, ajo macho, xoconostle, chile morita (red); tomatillo, avocado, serrano, garlic, onion, cilantro (green). Pico de gallo: roasted bell pepper, green tomato, lemon juice, ginger, serrano. Tacos: cauliflower/shredded chicken with guajillo oil. 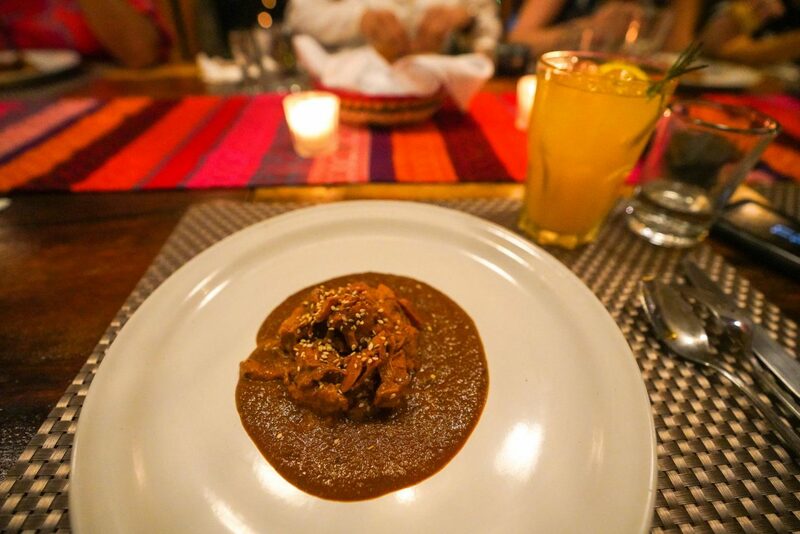 Mole: smoked turkey with poblano mole. 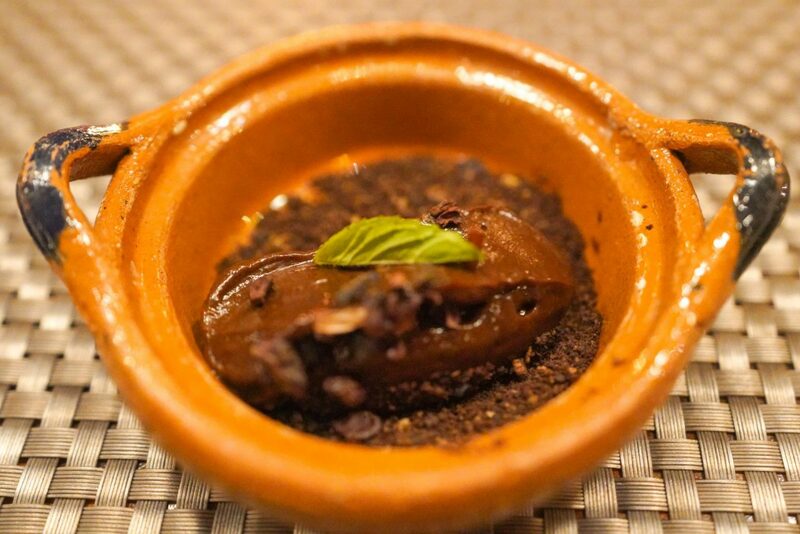 Cacao mousse with mezcal-infused caramel. As someone who grew up in Canada, my idea of Mexican food is tacos, burritos, guac and chips, quesadilla, what have you. And yes, we did have tacos, we did have guac, we did have salsa, BUT I was introduced to so many new flavors and ingredients I’d never heard about. Chaya, for example, was a personal fave. It’s like the Mexican version of spinach, but it provides way more protein, calcium, iron, vitamin C, and carotenes. Basically spinach on steroids. The lionfish ceviche was another dish I thoroughly enjoyed. I’m a huge fan of ceviche and the tangy sauce paired with the fish was absolutely phenomenal. Lionfish are actually predators and a threat to coral reefs so the best way to save the underwater ecosystem is to eat them. (More ceviche for everyone!) Oh and don’t even get me started on the cauliflower tacos. Cauliflower anything – you have my attention. Most of the dishes were vegan-friendly. If you’re vegan or have any other dietary restrictions, worry not because the staff are extremely extremely accommodating. Pricing – Is it worth it? With tax included, the dinner comes down to $99 USD per person. This includes all the food and drinks consumed on the evening and again, it is open bar. I know it’s common thinking to equate Mexico with cheap eats, but Tulum is actually pretty expensive. (After all, it is a resort town.) Most places on the beach strip will charge you an arm or a leg if you wanna leave the restaurant feeling full. That being said, $99 for seven courses and unlimited drinks… I personally think it’s worth it! More importantly, as the name suggests, it is an experience. You learn so much about the country’s food and culture that you’re walking away with not only your stomach satisfied but your mind filled with local knowledge. And you make new friends too! It was actually my first time meeting up with two other travel bloggers (Cathy from For Two, Please & Monica from FromHeretoSunday) and the dinner helped connect us and get to know one another better. By the end of the night, it honestly felt like we’d known each other for ages! If you’re still on the fence about the price, they are currently hosting a spring sale for $79/person. That’s super reasonable for what they’re offering so be sure to hit them up for your visit this season. As mentioned above, I was invited as a guest. However, all opinions are my own and you guys know that I never recommend anything I do not truly enjoy. That said, I definitely thought this was a unique experience. One thing my friends and I would’ve liked better though was if the food could’ve came faster. It was nice chatting in between the dishes and the wait, but we were famished! I’d recommend munching on something small prior to dinner – especially since you’ll be drinking on an empty stomach. Obviously don’t go crazy and have a huge snack because 7 courses is quite a lot and we were stuffed at the end of the evening! All in all, The Dining Experience Tulum is for sure worth a try if you’re looking for where to eat in Tulum. 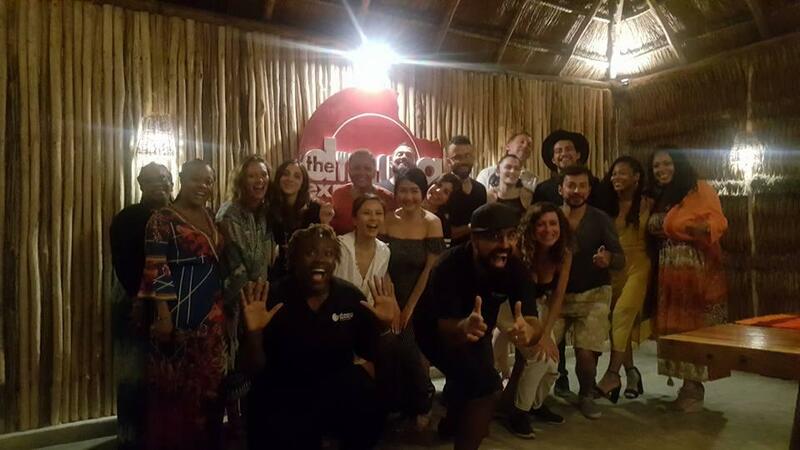 I know there isn’t much information on the Internet when you google The Dining Experience Tulum reviews so hopefully this will give you a better understanding of what the event is about in addition to what to expect. For more of what to do in Tulum, check out my itinerary guide “25 Things to Do in Tulum that Will Make You Fall Seriously in Love with Riviera Maya“. Wow, this looks amazing! I love these kinds of community style dinners. Will be on my list if I ever get to Tulum. So glad to hear I could inspire you to wanna try it out. Cheers, Amy! This sounds really cool!! What a neat way to learn about the culture of a place. And I agree – $99 for 7 courses and an open bar is more than fair!! Hahhaha that was basically me when I was drafting this! Glad I could inspire you to give this experience a try. Don’t hesitate to reach out if you ever have any further questions! I have never been to a dining experience but this one looks terrific. I haven’t imagined that you can eat so many cool dishes for one dinner. How many days after that you haven’t eaten anymore? I am sure Luis was a great host The smoked turkey with poblano mole looks very tasty. Oh don’t worry, I woke up super hungry the next morning hahhaahaa. Luis was a fantastic host and so was the lovely Janae who welcomed us at the door. Hope this will inspire you to give it a try if you ever visit Tulum! Wow! 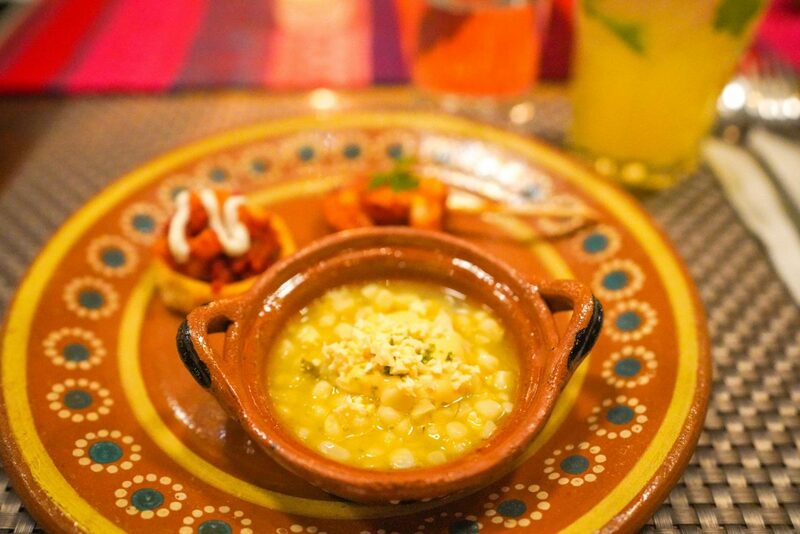 This sounds like the ultimate Yucatan culinary experience. I’m nearly drooling all over my key board. 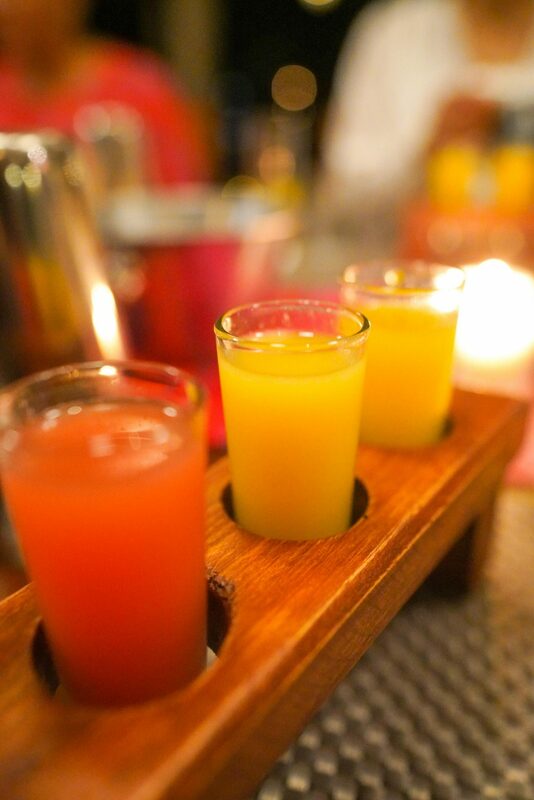 The food photos look awesome, and who wouldn’t get tipsy with such great drinks! I love Tulum, but it’s sad it’s quickly becoming the new Cancun, not a great thing in my opinion. Still, I like the look and sound of this foodie experience. I love mezcal, so would really enjoy those drinks! And the food looks really delicious, authentic, and fresh too. An experience worthy of the price. I think it’s great for the tourism there especially the locals who work in the hospitality industry. But you’re right, there are always ups and downs to places becoming more popular destinations. 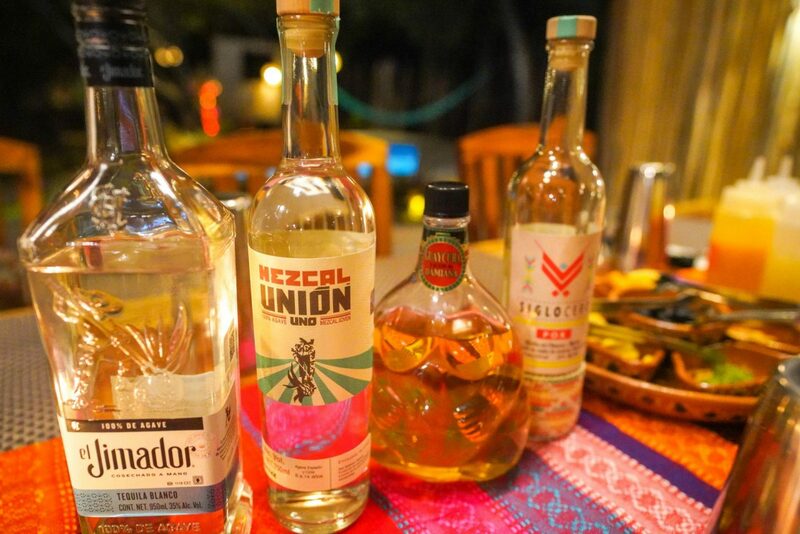 Oh and if you love mezcal, this open bar experience is definitely for you! Yum! Not only does the food look good I so enjoy the serving ware, too! That sort of presentation really makes it even more fun. Hope to get to try this one day! 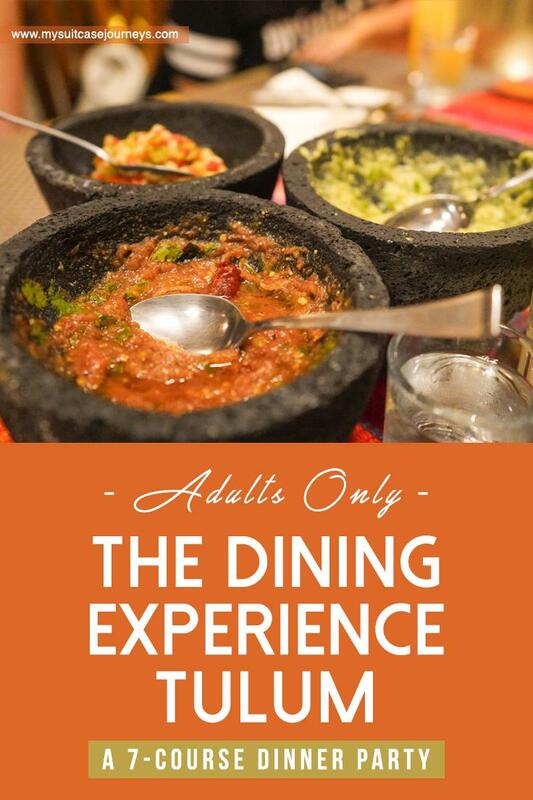 I wish I would have heard about this dining experience before I went to Mexico myself last October! I’d have love this, especially because I’m really into trying local food.. and this is so much food!! Haha. Also, the part of learning how to make cocktails is really interesting. I think $ 99 is a very reasonable price, when you look at the food and drinks you’re getting during the night. Ummmm, wow! I’ve never heard of this and for $99 it’s a super awesome deal and experience. I love the table setting and all the food looks absolutely delicious. Also, your photos are amazing! Bookmarking this! Thanks Candy! Let me know if you ever have any other questions! Yum! I got hungry just reading your post! Was this your first time in Mexico? I just got back from Mexico City and I highly recommend it! It was my second! First time was Cancun, but Mexico City is high up on my list too!! My mouth watered just reading this. I can’t wait to go to Tulum! I’ve been in that area like 3 times and still have somehow never actually made it. There are so many beautiful sights in the area so it’s hard to see them all, but next time for sure! This sounds wonderful! I’ve been to the Yucatan, but only Merida and not Tulum. I definitely liked the food, especially chaya. I think my favorite part of this would be the mezcal cocktails because I love mezcal. I definitely would like to try this experience. If you love mezcal then this is definitely for you! The drinks literally never stop coming and you get to learn how to make the cocktails too. Hope you’ll get to try this someday, Stella! Mouth watering! I love the way they prepare the food – and the ingredients are way healthier! And who said healthy food doesn’t taste good! I’m always so happy whenever I get the chance to read something like this, and knowing that it’s already at dinner time here, you made me hungry. This is truly a gastronomic adventure that I have always love to own. Anyway, I enjoy these unique Hispanic flavors seems like really tempting and luscious as well. I love how honest you’re in conveying your experience, and your review is fantastic. Thank you so much for sharing this with us. Thank you so much, Laiariel. 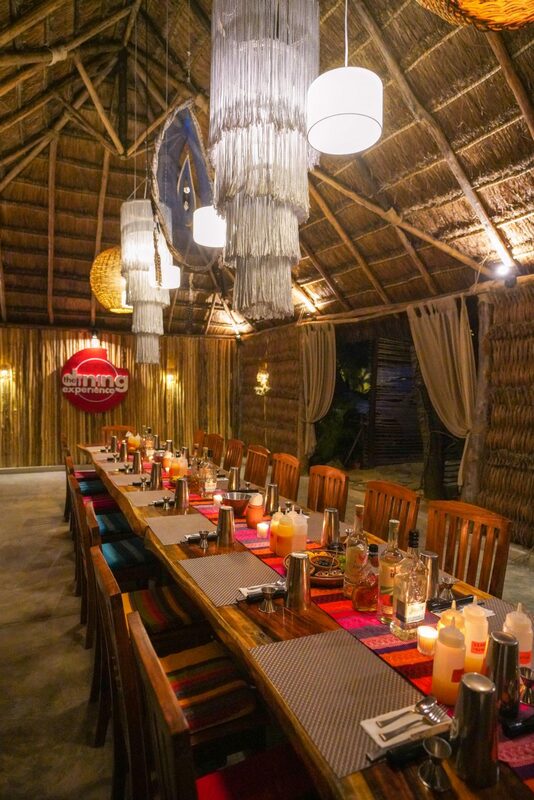 Glad you enjoyed the review and hope you will get to try this gastronomic adventure if and when you visit Tulum! Cheers! And thank you, Shaily, for checking out the review! Definitely give Tulum a visit someday because I think you’d quite like it! I probably should not read your post on an empty stomach!! Love the variety of food. I would love to learn to make those yummy cocktails. And did someday say Mezcal??? Yummy!! I can’t wait to go check this dining experience in Tulum. Oh wow we just had dinner and we’re hungry again! I love your pictures, and everything looks delicious! Also 99$ per person for a seven course meal with this kind of food isn’t too much at all, especially because there are unlimited drinks! I’ll note them down! Thanks Danila! Glad you liked the photos and you’re right, it’s not much at all. Let them know I sent you if you do ever make a reservation with them! That looks like great fun, as well as a brilliant dining experience. And you got mole – I miss that here, as very few places seem to serve it in the UK. It’s great to hear that they deal with dietary restrictions too; I’m gluten free, and it’s good to think they could accommodate me. Save me some of those salsas too! That food looks fantastic! Your pictures are great too. I’ll have to add Tulum to my must visit list! Thanks David! Glad I could inspire you to visit Tulum!! 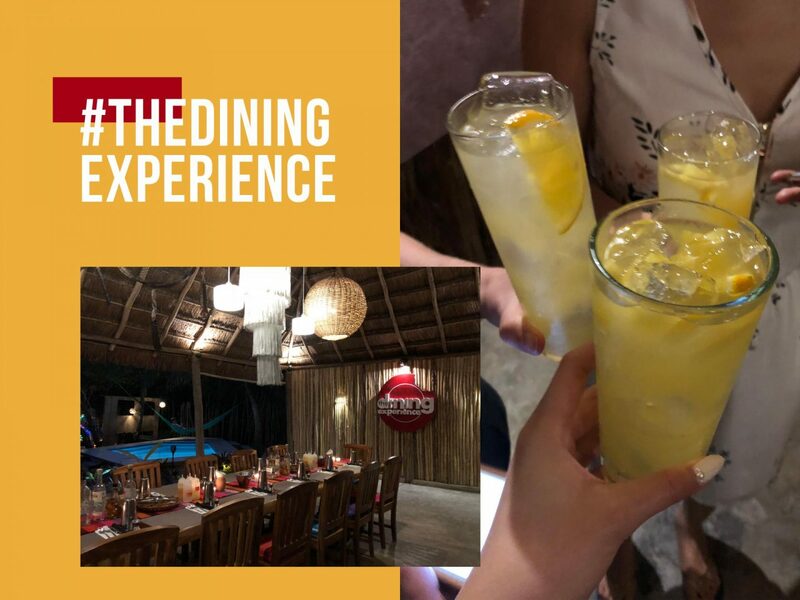 I haven’t heard of the Dining Experience before, but it sounds like so much fun- food is connecting people (as always), and a little course of making tropical cocktails is a pretty good start! 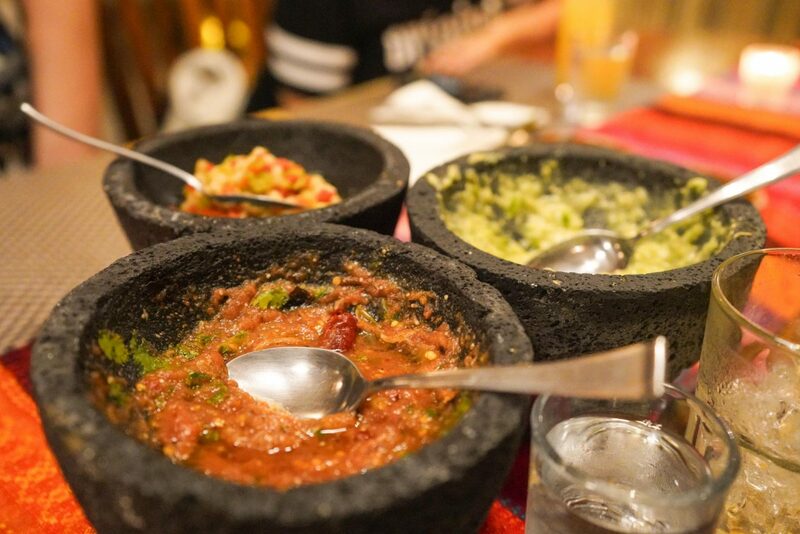 Everything looks delicious (especially the salsas), and I love the atmosphere. It was my first time hearing about them too and I really have nothing but good things to say about them. Hope you’ll give this a try if you’re ever in the Riviera area! The food is not only looking tasty, it is also well designed. I am about to interview a food designer… So I happen to study a bit how is it made. The place has a very good chef. A food designer! How cool!! Would love to read the interview after!! This looks mouth-wateringly delicious. I would love to enjoy the experience. If I ever go to Mexico, I will definitely go here. Hahahahaa I’d definitely recommend to try it at least once. There’s soooooooo much good food in Tulum that you’ll wanna wish you had three stomachs so you could try every single restaurant. I really shouldn’t have read this just before lunch! It all looks super delicious and I don’t think that price is that bad when you get to experience so much of the culture. Makes me miss Mexico!! Exactly! And you’re not alone… I’m totally missing Mexico and its food now too! 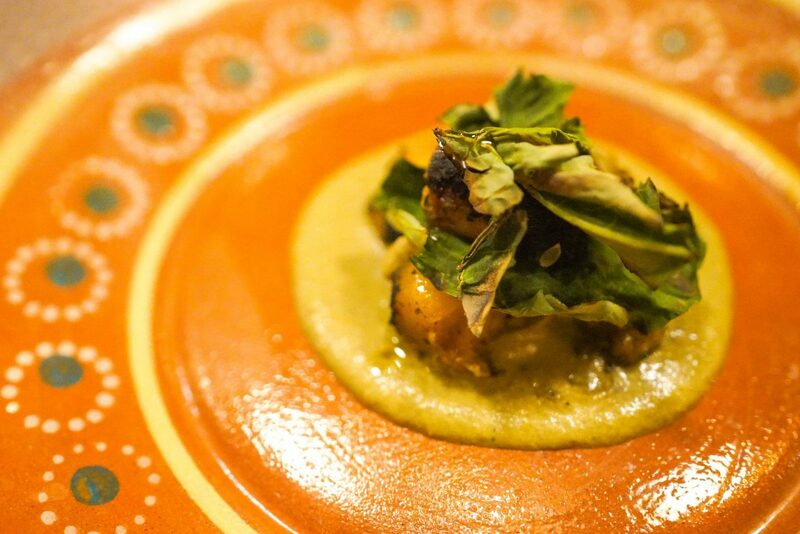 Tulum in Mexico looks like a hot spot for culinary enthusiasts. The Food at “The Dining Experience” in Manglex Hotel looks mouth-watering. Somehow I have never equated Mexican food with fine dining so reading the post was an eye-opener of sorts. 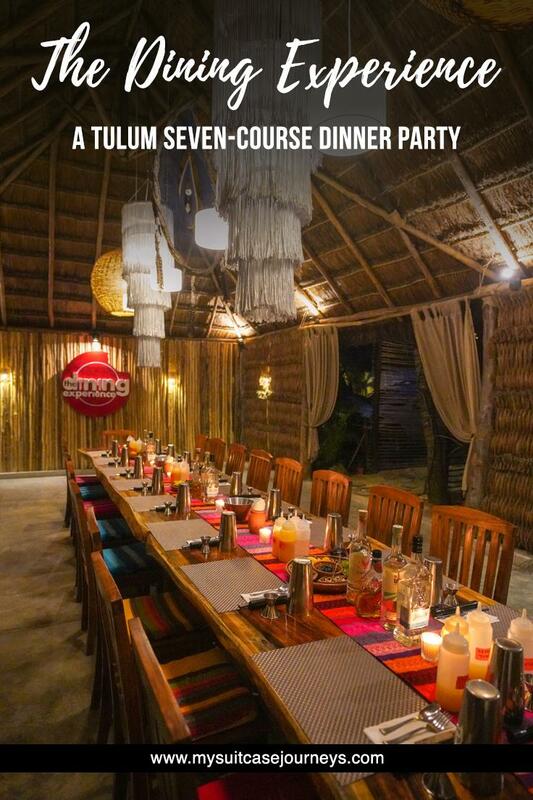 Each of the courses looks fantastic and I am sure I will give this a shot when in Tulum. Not gonna lie, me neither! Which is why I’m so glad I got to experience this and I think you’d really enjoy it too! It is indeed a lovely experience. The foods look yummy and so does the serving plates. The ambience too is pretty awesome. 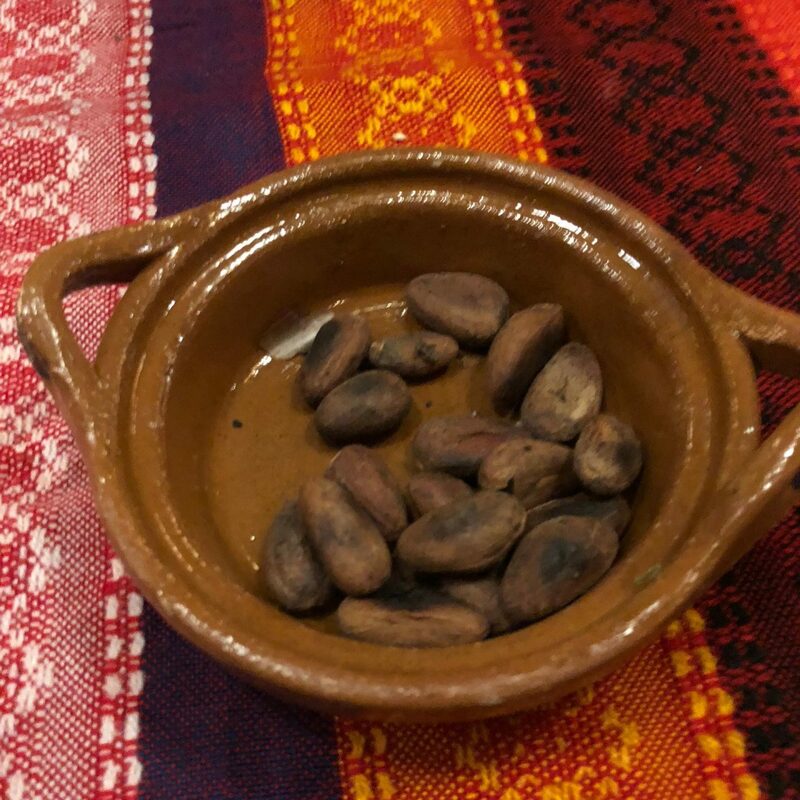 I have never heard of cacao – this is such a lovely food. Our local cuisine also have that Mexican feel, but I haven’t tried dining at an authentic Mexican restaurant here. Am not sure if we have (all just inspiration) Hope Dining Experience will come to Manila! I gotta say the food is definitely very different when you’re in the actual, authentic environment. I’m sure Manila has amazing Mexican food, but the local flavors here in Tulum will really blog you away as well. Maybe this just calls for a trip to Mexico hahaa. Now this is a place where I’d like to visit. My appetite craves to be at places which are designed with love. Fulfills the food you have consumed. This is for sure your cup of tea then! My goodness, this looks like such an incredible experience! Your food photography is beautiful too. I would love to visit this place, you can tell how much passion and commitment has gone into creating this experience! I love Mexican food. Thanks so much Juliette! Not gonna lie, I was rushing through all the photo-taking because I couldn’t wait to eat! This really looks like an amazing place to enjoy a scrumptious meal! I would love to visit it for the entire ambience, as well as the delicious food – even the cocktails look gorgeous! I highly recommend it, Nathan! Hope you’ll check this out if you ever decide to visit Tulum!! This looks incredible, I love that the food looks amazing but also the whole experience too, that is something we love! As a pescetarian I would opt for the lionfish ceviche ! Sounds delicious! Yes, I agree, Mexican cuisine is great indeed ! I’m definitely craving for some lionfish ceviche now! Tulum is one place where I wished I spent more time exploring. This looks like a fun dining experience with the opportunity to make cocktails and mingle with other guests. Each course is vibrant, well presented and looks divine! I think the paying $99 is pretty reasonable, considering there’s 7 courses with cocktails included. Would love to try this unique experience when I return to Tulum. You and me both! I only had a weekend there and definitely felt rushed. Fingers crossed that we’ll both get to revisit sometime soon!! We spend 3-4 days every year for our anniversary at Tulum and we love it. Food is just amazing, that’s where I tasted the real Mexican food for the first time. Next time I will try your recommendation. Somehow I feel this food is so similar to Indian food! The hand ground Salsas look so tempting. Hahaa I’m sure some of the spices and flavors are quite similar. You’ll for sure have to try it for yourself someday! Omg yes! What an amazing way to experience Tulum. 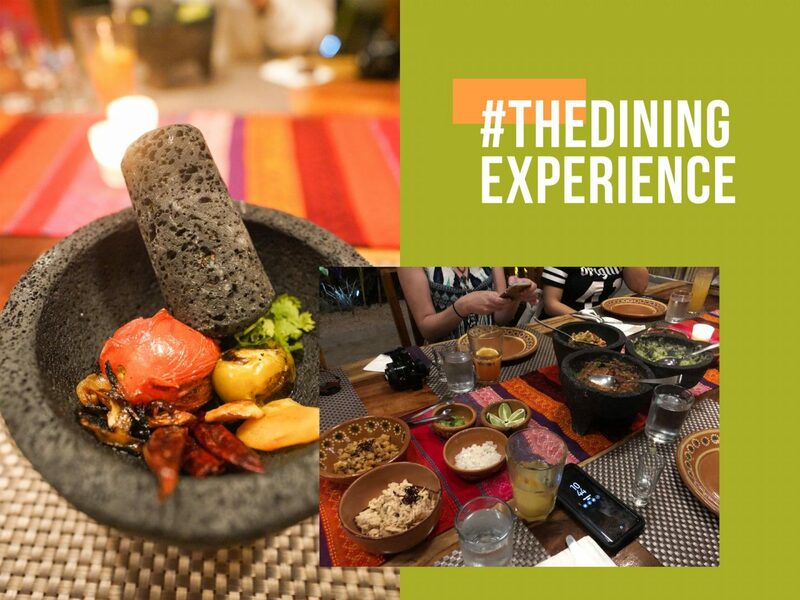 The Dining Experience sounds absolutely incredible…and I love the hands-on experience of learning how to make cocktails using Mexican ingredients such as my favorite, Mezcal. 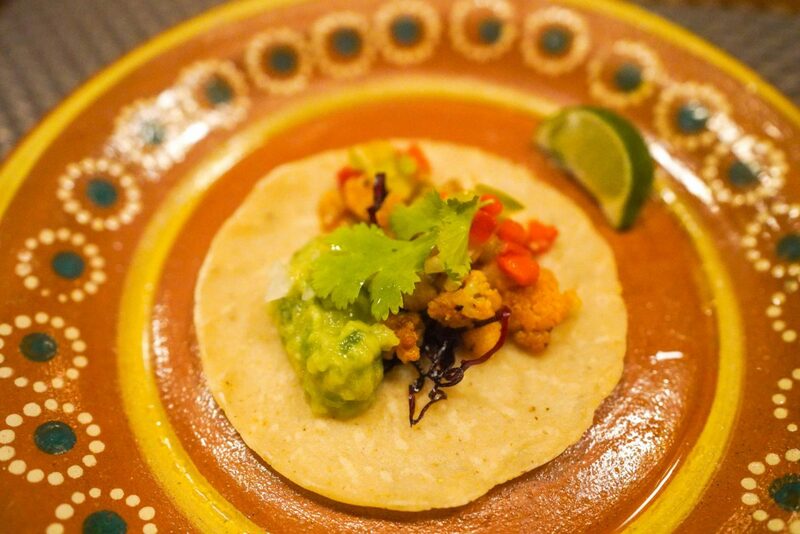 The food looks simply divine and delicious… the chickens tacos, yum! And ooo Lionfish Ceviche, how interesting! I have never tried lionfish before. Neither have I! It was my first time trying lionfish and I can tell you it was to die for!!!!!!!!!! You’d absolutely love this, Tamshuk! I loved this place due to its quirky decor and also I loved cutlery and plate designs. As this restaurant is vegetarian friendly, this place is meant for me. Being a vegetarian, I would get many options here. With that kind of food, ambience and presentation, as well as an open bar, $99 is not expensive at all, in my opinion! And what a beautiful place too! The drinks look cool, the 7-course meal (and that too, Mexican food) seems perfect and maybe it’s your pictures or maybe the presentation of the food is really THAT good, but this is an experience I’m happy to pay for and go. How lovely! Hahaa I actually did get a new camera although all the dishes were pretty photogenic so it was hard to take a bad photo. You’re totally right too, $99 is soooooo worth it for the amount of yummy food and drinks you get! What fun to be invited to participate in The Dining Experience! The menu, set up and ambiance looks so inviting. Looking at the pictures just reiterates what I feel that cooking is an art and getting such a luxurious experience is a memory of a lifetime. Yes, at first looking at a price of $99 is like, wooh.. its expensive, but for a 7 course meal, unlimited drinks and the overall experience, it’s worth it!